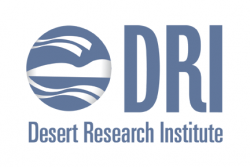 The Desert Research Institute (DRI), the environmental research arm of the Nevada System of Higher Education. DRI conducts cutting-edge applied research in air, land and life, and water quality across Nevada, the United States and on every continent. With more than 500 employees and two main campuses in Reno and Las Vegas, Nevada, DRI generates $30 million in total annual revenue. We excel in basic and applied research and the application of technologies to improve people's lives throughout Nevada and the world. We implement this mission by fostering scientific and engineering talent. We apply scientific understanding to the effective management of natural resources while meeting Nevada's needs for economic diversification and science-based educational opportunities.